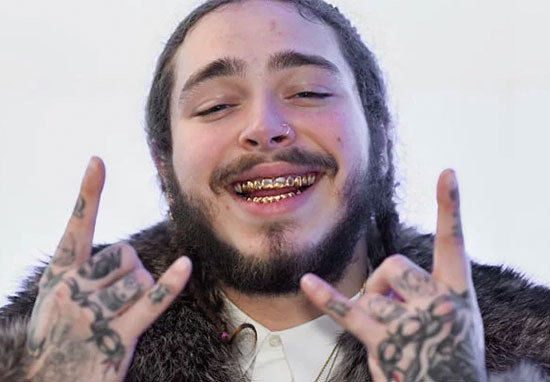 If I were to say to you Post Malone had just smoked the most expensive cigarette of his life, how much do you reckon it would’ve cost? With a pack of cigarettes costing about a tenner normally, and having never smoked a cigarette in my life, I’d probably lean towards the hundred pound mark for a renowned celebrity such as Post. Which, admittedly, is still way too expensive for any form of cigarette, but I’m assuming someone of his calibre can throw that amount of money away without really thinking too much of it. Apparently though, the rapper can bear to part from a lot more than just a hundred quid, because he dropped a massive €4,000 on a cigarette at his Dublin gig on Valentine’s Day. Taking stage at the 3Arena, Post took a packet of cigs out of his pocket – as he’s frequently known to do at his gigs – but this time though, it was different as he told his fans this would be the ‘dearest’ cigarette he’d ever smoke as he lit one up. The Sunflower rapper then explained the organisers at the Dublin venue had warned him, every cigarette he smoked would cost him €4,000. I got to the venue today and they told me every cigarette I smoke in here is four thousand dollars. The crowd can then be heard cheering as the rapper lights up the now-famous cigarette, with Post announcing it’s ‘officially’ the most expensive cigarette he’s lit in his life. I mean, I’m annoyed he’s wasted that amount of money on a cigarette but at the same time, fair play to him. He obviously couldn’t care less so I guess you’ve got to have some respect for him for the act. 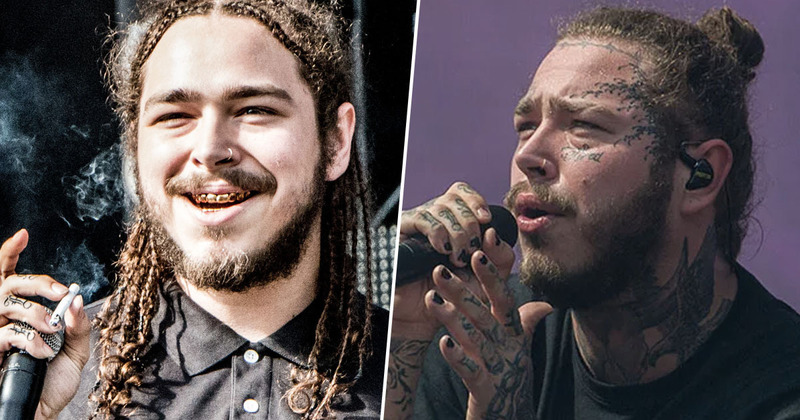 Post Malone has been known for his controversial choices in the past, in particular his many tattoos which cover his entire body. And while he’s had many interesting tatts in the past, probably the most controversial is the massive ‘always tired’ tattoo under his eyes. I’m not sure I’d go as far as inking my face, especially with those words – even though they’re 100 per cent relatable. The Texas-based singer also has a string of barbed wire tattooed across the top of his forehead, and the words ‘stay away’ above one of his eyes. Better not get too close to his face, then. Regardless, Post seems to be pretty content with his choices – even if it means he’s just wasted thousands of euros on a cigarette. I wonder how many he lit up throughout the night?